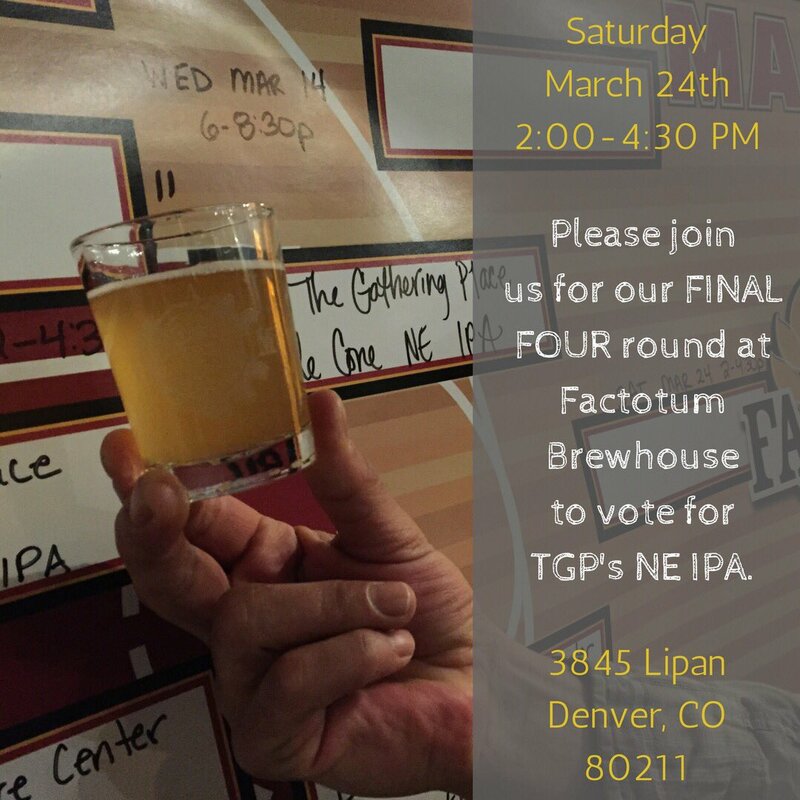 The Gathering Place's New England IPA overwhelmed Dirt Coffee Bar's Coffee Wit to advance to the Final Four round of Factotum's Brewer's Madness. Thank you to everyone who participated and voted for our brew! We will face off in the third and semi-final round against Bluff Lake Nature Center's Prickly Pear Saison on Saturday, March 24 from 2 - 4:30pm. For every vote our beer receives, Factotum Brewhouse will donate $1 to The Gathering Place. To learn more about the charity brew competition and how you can support The Gathering Place, please visit our Facebook event page: https://www.facebook.com/events/1196044807192329/.